When an up-and-coming lawyer moved from Chicago to Washington, D.C., we made a sparse rental apartment into a curated space to relax from the daily grind. Our client's unique vintage pieces and beautiful art collection were perfect elements to start building his new home's personality. Inspired on a contemporary Sherlock Holmes, this bachelor pad was designed to achieve a collected and modern feel for our client and his dog. 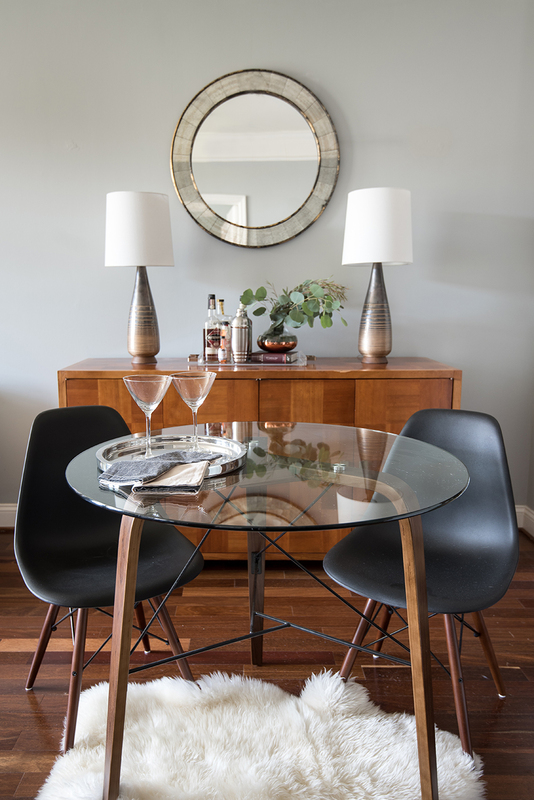 Classic pieces from a tufted armchair to a wooden sideboard give the space a sense of history, while modern Eames chairs and glass-topped tables act as counterbalances.